When you’re travelling in tropical regions you don’t just need sun protection, you need reliable protection from mosquitos too. The LAKESIDE MOSQUITO HAT gives you both. The fabric has a very tight weave that makes it impossible for insects to bite through. And with a UV protection factor of 40+, it also shields your head from the sun’s harmful rays. 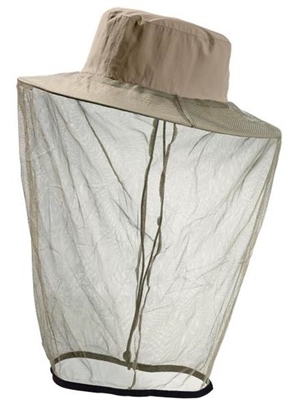 Hidden behind the zip in the brim of the hat there’s a large mosquito net that can be folded out for extra protection when needed. The airy lining wicks perspiration away quickly and effectively and ensures you keep a cool head all day long.